WARNING! This process may take some time, therefore it is NOT recommended that you undertake the update process without first allotting sufficient time! Ensure CompuHost V3 is NOT running. Download this latest update installer by CLICKING HERE. Depending on your browser, you may be given both the opportunity to "RUN" or "SAVE" the file. In this case, select "RUN". If no "RUN" selection is offered, save the file and take note of the saved location. After successfully downloading the file, launch the installer and follow the onscreen steps provided to complete the update installation. That's It! Enjoy this latest revision and thank you for being a valued part of the Karaokeware family! 2. USER REQUEST: Added support for BIN formatted Karaoke song files. 1. USER REQUEST: Although most standard Karaoke MPX selections incorporate lead vocals on the RIGHT channel and instrumentals on the LEFT channel, we have received reports that some providers are deviating from the standard and reversing the channels (WHY?). Anyway, to facilitate these selections we have added a means to select the applicable channel during playback (L/R buttons above MPX button). 1. USER REQUEST: Added new DJ/FillerTunes Setup Option to customize the DJ/FillerTunes fade-out speed/duration at the start of a Karaoke performance (DJ/FillerTunes->Configure). 1. 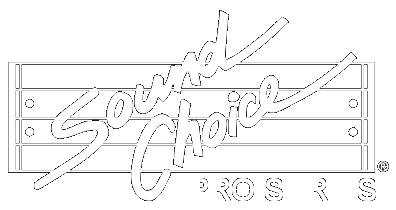 Added support for the new Sound Choice PRO for licensed GEM/Help+ license holders. - Preceding the Search Text with a "less-than" character (<) such as "< My Way" will result in only selections whereby either the Song Title or Artist Name begins with "My Way". - Enclosing the Search Text within DOUBLE quotes ("), such as "My Way" will result in only selections whereby the words "My Way" are found in EXACT order. - NEW! - Enclosing the Search Text within SINGLE quotes ('), such as 'My Way' will result in only selections whereby the Song Title or Artist Name matches the Search Text EXACTLY. 1. MyKJMedia - Added support for the exciting new Sound Choice PRO subscription service! 1. Previously removed Auto-Fade (if activated) during Disc Media playback (CD+G, VCD, SCDG) restored. 1. Songbooks Online: Added the ability to suspend incoming song requests while keeping Songbooks Online active, allowing app users to search/browse your song selections, view the rotation and receive Shout-Outs although incoming requests are blocked. To toggle incoming requests, simply utilize the new "ACCEPTING REQUESTS/BLOCKING REQUESTS" button located toward the upper-right of the Incoming Requests list. 1. Microsoft recently released Windows security updates that have been reported to cause stability issues within applications utilizing the embedded ADOBE FLASH component, such as utilized within CompuHost V3's embedded "Instructional Videos" feature. To resolve the issue, the embedded FLASH component has been removed in favor of utilizing the default Internet Browser as configured. 1. Optimized search method for users searching by Song Number. Simply enter the Song Number into the Search Box and press ENTER. "Display All Listings Matching Last Played Selection"
This new feature may be useful when an onstage performer dislikes an ongoing version/brand of a selection and wishes to try another. 1. Added ability to re-sort Song Search results by Song Title or Artist Name. 1. Added active configuration to Application Title Bar. 2. Added active DJ/FillerTunes Playlist Filename to DJ/Fillertunes Playlist Header. 3. "Stopguard (Require Double Click)" and "Auto-Fade on Stop" now applies to Solo Mode also. 4. Optional "Auto-Fade Audio on STOP" setting now preserved between sessions. WARNING! The overall display quality of the Onscreen Lyrics Display will be negatively affected after disabling the new CDG Lyrics Display Optimizations, therefore perform the following steps ONLY if absolutely needed! Download and install the latest CompuHost V3 Revision (v.3.55.02 or later). Launch CompuHost V3 and select "Help->System Information" from the Top Main Menu. Click the "Advanced" button found on the lower left of the dialog. Your default system editor (notepad) should open with the "system2.ini" file preloaded. Save the file and close the editor. 1. Optimized CDG Lyrics Engine: Takes better advantage of the capabilities available with higher end graphic devices, resulting in improved graphics quality. 2. Added a Karaoke Playback Tracker Bar below Host's Lyrics Display: Allows for instantly changing the ongoing Karaoke playback position. 3. The auxiliary "Song Request/Past Performances" display now works even during DJ/FillerTunes Video playback. 1. Instituted a workaround to hopefully address inaccurate video scaling/resizing issues apparent when utilizing certain errant video devices and/or device drivers. 1. Added support for switching to a columnar list format (Compressed List View) within the Song Search dialog. You may now switch between the new "Expanded" and previous "Collapsed" list views within the "Singer Rotation", "Song Request Queue". "Performer History" and "Song Search" by RIGHT-CLICKING within the applicable list and selecting "Switch to ..." from the drop-down selections. 2. Prior to this revision, while performing a song search and reselecting (clicking within) the Search Text box after obtaining results from a previous search, the previous search text was cleared. The previous Search Text is now retained while NOT utilizing SAYT (Search As You Type) ONLY. While utilizing SAYT, the search text continues to be cleared for technical reasons. 1. Updated license manager to ensure continued compatibility with the latest Windows 10 Security Patch. 1. Some users have reported that the Request Queue and History lists are erratically collapsing to occupy only a portion of the intended screen area at times. Although we've been unable to recreate the issue, we have instituted changes to hopefully circumvent the issue. 1. By popular demand, we have re-instituted RIGHT-BORDER markers within the Performer's Rotation, Song Requests and Past Performer History Queues. Applicable to the COLLAPSED LIST VIEW only. 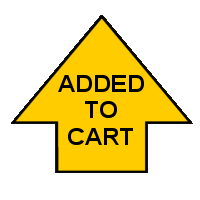 (RIGHT-CLICK and select Collapsed View within the desired list). The new EXPANDED LIST VIEW utilizes staggered columns and therefore not compatible with border markers. 1. Added ability to sort and search Performer History by Date, Title and Artist (Click List Header Labels). 1. Removed "Disable Intellifonts" option. Screens have evolved, encompassing far too many controls for use without autosizing fonts (Intellifonts). 2. A recent Windows 10 security update may interfere with the built-in K-Lite CODEC auto-installer. For users requiring updated CODECS for playback of some formats (MP4), the automated K-Lite CODEC Pack installer may now be scheduled for the next normal application launch. 1. Ability to "PIN" the Song Search Dialog to the Main Host Dialog. 2. Added new "Expanded List" formats facilitating larger Drag and Drop target zones. May be activated/deactivated by utilizing the RIGHT-CLICK menus within each list. 3. Additional optimizations to the SAYT (Search As You Type) feature, facilitating larger Songbases. WARNING: Depending on the performance capabilities of the computer, larger songbases may negatively impact overall performance. 4. Simplified Song Search dialog layout. 1. When the "Add New Performers to END of Performer List" Auto-Processing option is selected (Add Performer->Set Auto-Processing (Button to Right of Rotation)), manually changing the intended rotation position may result in duplicate position numbers within rotation. 2. When utilizing the LARGEST font selection within the "Performer Rotation" list, 2+ digit rotation position numbers were truncated. 1. A new popup balloon reminder has been added, reminding users to perform a clean shutdown on systems whereby the last clean shutdown was performed 20 days (or more) in the past. Please reference the topic below regarding the Windows 10 Fast Start boot option and how it may cause system wide slowdowns and/or instabilities. IMPORTANT! Windows 10, 8.0 and 8.1 Fast Start boot option may cause system slowdowns and instabilities! Please be aware that shutting down Windows 10, 8.0 and 8.1, while the default "Fast Start" boot option is activated, does NOT actually perform a "clean" shutdown. Instead the computer is only placed in a quasi-sleep mode. This may significantly degrade overall system performance and stability over time. Therefore, you are strongly advised to "force" a clean shutdown at regular intervals by simply holding the SHIFT key down while clicking the Shutdown selection (Windows Start->Power->Shutdown). CLICK HERE for instructions on disabling the Fast Start boot option. 1. Added new option to auto-deactivate performers following their performance regardless of further song requests in their queue. May be useful when winding down your show and wishing to keep performers in line in case you have time to get a few more in! 2. Moved drop-down menu for "post performance processing" such as the newly added feature described above to a convenient "rotation" icon positioned to the upper left of the Karaoke "Start/Stop" button. 3. Added "Check for Update" feature to simplify checking for and obtaining program updates. 2. Songbooks Online subscribers may have been experiencing momentary or extended program lockups at times, especially while utilizing slower or less reliable Internet connections. - RESOLVED. 3. Songbooks Online subscribers were unable to activate Songbooks Online during an ongoing performance without momentarily freezing the onscreen lyrics. - RESOLVED. I had surgery on my hand and it was so hard for me to type. They primarily provide support through email correspondence and in the past it had always been easy, but because of my hand it was just so difficult to type. I asked if someone could please contact me by phone because of my situation and what do know, I not only go a call back, but they were so helpful. Sometimes you find yourself in a tough spot in life and it is so nice to know that a there is a company out there that is willing to go out their way and go that extra mile to help a customer in need. Thank you so much! I used Hoster for many years, but I finally wanted to use the best. For those of you who don't know Hoster uses a specialized format called KMA that can only be utilized in their application. In my opinion they do this so that if you decided to go with another application you may change your mind because of the hassle of having to "re-rip" all of your song files. Anyway, as I said I wanted to go with the best and if you don't know who the best is.. surprise it's CompuHost. Using their File Converter I was able to easily convert my KMA files into an MP3+G format which is now the industry standard for digital karaoke tracks. I have been using CompuHost V3 since its debut in early December of 2015. I say you can drive a Honda or a Maserati. I choose the Maserati. Thanks for all the great software and support. I am a professional KJ. I do this for a living and my family depends on me to bring home the bacon, which means I have to have the best to not only compete in today's market, but to stay on the cutting edge of technology so that I can bring the very best experience to my singers and to my show. I have personally tested and or used every karaoke software on the market and there is not one karaoke hosting app that comes close to what CompuHost has to offer and you guys are always coming out with new features and functions that improves my shows. I am sending out a very special thanks from me and my family to the team at Karaokeware Incorporated. 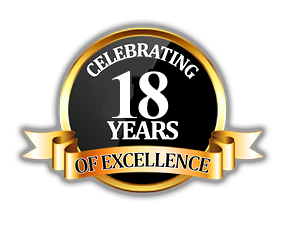 Your team and software is truly the best, not to mention the outstanding Support you have provided me over the years as well. Thank you again and God Bless you. CDGRip is the best CDG ripping utility ever and it's "FREE"! Thanks you guys! Many thanks for Software that is so great. Me and my mates can't get enough karaoke! I am so impressed with all of your products and especially CompuHost. The feature list outmatches every competitor on the market. All I can say that any one looking for Professional Karaoke Software should be using CompuHost!!! I had so many CAVS discs I thought it would take forever to get the songs onto my computer. The SuperCDG Converter was so simple, easy and fast I couldn't ask for more. Great piece of software, you guys really know what you doing. Thanks so much. If you're using any other Software as a professional KJ other than CompuHost; you are not a professional. You can take that to the bank! I have been doing Karaoke over 20 years and I've seen it all, better Karaoke Software does not exist. Best Karaoke Software you can buy with absolutely no equivocations! I can't believe my performers can send me their songs requests from their phones. This is so awesome I can't really put it into words. So I just say thank you. Previously I used Karma and (comment redacted for public viewing). Now with CompuHost I finally have a real Professional piece of software that allows me to run a "REAL" Professional Show! Thank you guys at Karaokeware and keep up the great great work. I called and actually talked to a live Sales Rep who was Knowledgeable, gave great service, had a positive helpful attitude. Great service, great products, great company need I say more.. Thanks! This software is so easy to use. Me and my family sing a few songs every night after dinner and is much fun. My daughter loves how she can set how many songs she can play per performance so she can sing 3 songs in a row before her sisters get a turn. We do not use professionally just for fun, but so terrific and easy to use, thank you. Top notch company from the products, from the services to the sales and support, simply a company that is "run" right. Thanks to all at your company I will be a customer for life. With CompuHost can play a karaoke disc, a video karaoke disc, a supercdg and it allows me to play from a flash drive. My performers can bring in their own selections and I can play them without a hitch in the show, smooth as silk. This Software is TERRIFIC!!! There is no other choice. Been a karaoke host since 1991 and a CompuHost user since V1. V3 is amazing and Songbooks Online is a gift from above. When a client asks me if I have a list of my karaoke songs I just have them how to download the free app and enter my SHOW ID. Then they can view my entire karaoke library from ANYWHERE IN THE WORLD!! Combine Songbooks Online with the Karaoke Kiosk on an event and you have an unbeatable combo for requests. With no bulky books!! This software has exceeded my every need for hosting a professional karaoke show. I firmly believe in this product and I am a lifetime customer. I would like to thank the CompuHost support team for their tireless efforts in assisting me. They went above and beyond what they should have to help me and I wouldn't have been able to do it without them. Thank you guys so much for truly caring about your customers. First to make a fair comparison CompuHost does everything every other Karaoke software program does, but BETTER and then does WAY MORE! I tell everyone looking for Karaoke software that there is only one option and that is Compuhost. No one else compares (Mtu .. Hoster .. Karma). I mean no offense to the other guys, but I tell my friends this, download the evaluation software of all the karaoke software you can find and put them all to the test. At the end of the day there is always only one winner standing, Compuhost! Thanks you guys for all the hard work you put into your software, my performers thank you too. You are the Best! I have been a Compuhost user since version 1.5 compuhost has never disappointed or left me wandering why I purchased the program. Compuhost has been very reliable and easy to use. Tech support when needed is outstanding. I have used the competitors software and would recommend Compuhost over all others. The new SongBooks Online features are outstanding. Now we as hosts can receive TIPS from our performers! I made $75 in tips just the other night through the app. You guys seriously are a godsend, thank you so much for creating such a cool service, my daughter doesn't know it yet, but she will be thanking you too when she gets the gift I originally wasn't going to be able to afford to get her for Christmas. You guys really are the best! CompuHost has changed my life. As a KJ I was constantly being forced to use products that didn't live up to the hype they boasted, but CompuHost not only lives up to the hype, but surpasses it with flying colors. Thank you to everyone at Karaokeware. With your products on the market it is absolutely surprising that the other companies can even stay in business. I've used Compuhost for over 10 years, I've also recommended it to family and friends that have also purchased this top hosting program. If you need quality karaoke hosting software look no further. You won't find a friendly or more supportive staff, thank you for all your help. I believe I started with CompuHost in 2002 and have used it ever since! They've incorporated ideas and suggestions I submitted into the hosting software and have always had great tech support whether it be phone call or an online submission. I've tried the other hosting programs out there because another KJ/DJ said to try it, but i have always gone back because the other hosting programs out there are just not a complete package like CompuHost! What will you guys come up with next? I can't wait haha! Keep bringing on the fun! I love the AutoPlay Controller as I can preset everything and let the show take care of itself, maybe the single greatest feature I have seen, also thanks for all your tireless efforts in assisting me all these years. Not only do I love that CompuHost is a US based company, but the sales people were so friendly and answered all of my questions. In an era where it seems you always get a computer recording or someone is just trying to get you off of the phone for a quick sale, my experience was so refreshing. Thank you to the sales team for taking the time to answer all of my questions, you guys are simply awesome! CompuHost is the absolute best Karaoke Hosting Software on the Market, Period! Thank you Karaokeware for both creating CompuHost and providing support that is unmatched in this Industry. You have a customer for all time. Amazing Job you guys are doing over there! I love CompuHost and with the addition of SongBooks Online WOW! What will guys develop next! I can't wait! You can call and talk to a real person and get real answers! Love it, thanks! Get UNLIMITED access to thousands of commercially legal, top quality Karaoke song selections for one low monthly rate! Unlimited use of the highest quality song selections from the most requested label in the industry... SOUND CHOICE! Thousands of high quality, commercially legal Karaoke song selections brought to you by DIGITRAX KARAOKE! Start Earning Extra Revenue, Join Our Affiliate/Referral Program! © Karaokeware Inc. All Rights Reserved. WHAT'S NEW IN COMPUHOST V3! Host DJ quality dance sets and/or utilize the Advanced AutoPlay feature to FULLY automate audience pleasing Audio/Visual presentations between Karaoke performances! Adds Support for Music Video Playback between Karaoke Performances! That's RIGHT! Now you can load your DJ/FillerTunes Playlist with a variety of Audio and Video files and let CompuHost V3 automatically handle the mixing for you! Entrance your audience with the industry's most advanced Audio and Video blending and transition capabilities! New "Up Next" Video Text Overlay!! Announce the Next Performer to the Stage even when entertaining your audience with Music Videos! Updated User Interface with On-The-Fly Back-lighting Control!! Choose the onscreen back-lighting that best suits your environment! Supports the New and Revolutionary Songbooks Online Remote Songbook Search and Request Submission System! Imagine NO MORE messing with printed Songbooks! Offer your audience the incredible convenience of Searching and Submitting their Song Requests right from their Smartphone or Smart Device (IOS/ANDROID)! For more information on the Revolutionary New Songbooks Online please Click Here! Fully Optimized for the modern Windows Operating Systems including the latest Windows 10! CompuHost V3 takes full advantage of the unique visual and performance capabilities of each Windows version! Supports Windows XP, Vista, 7, 8, 8.1, and 10. Connect with us on social media to keep up with the latest news, special offers and other updates. So that we may properly direct your inquiry, how may we assist you? Please be reminded that the discounted CompuHost V3 Upgrade is valid ONLY toward upgrading an existing and fully activated CompuHost V1 or V2 installation and therefore reserved for previously registered CompuHost V1 or V2 users only. Have you already installed the CompuHost V3 Evaluation on your computer? I HAVE NOT YET INSTALLED COMPUHOST V3 ON MY COMPUTER. I HAVE ALREADY INSTALLED COMPUHOST V3 ON MY COMPUTER. Launch your already installed and activated CompuHost V1 or V2. Your CompuHost Serial Number is available by selecting "Help->About CompuHost" from the CompuHost Top Main Menu. Please enter your CompuHost V1 or V2 Serial Number below and click "Validate Eligibility"
IMPORTANT! You MUST ensure the CompuHost V3 Evaluation has been installed on a computer with an already installed and fully activated CompuHost V1 or V2 license! Select "Help->Activate Software Upgrade" from the CompuHost V3 Top Main Menu. Click here if the "Help->Activate Software Upgrade" menu item is unavailable. The "Software Upgrade Activation" dialog should appear whereby you'll be provided with your LICENSE ID and CONFIRMATION CODE. Please enter your LICENSE ID and CONFIRMATION CODE below and click "Validate Eligibility"
THE "HELP->ACTIVATE SOFTWARE UPGRADE" MENU ITEM IS NOT FOUND! Please be reminded that the CompuHost V3 Evaluation version MUST be installed on a computer with an already installed and fully activated CompuHost V1 or V2 license. If during startup, CompuHost V3 is unable to find a valid and fully activated CompuHost V1 or V2 license, the menu item will not be available. If utilizing the older GEN-I Licensing Model whereby a plugin License Key (Dongle) is required, please ensure you have installed the "HYBRID" version of CompuHost V3 supporting the GEN-I License Key, available by CLICKING HERE and that you have the License Key plugged in and initialized prior to launching CompuHost V3.